Imagine yourself about to jump from a bungee platform. You will see the abyss below you and the urgent feeling of retreat. In that moment you have to options: chicken out and live with the shame in your comfortable way of living… or you jump and see the experience by yourself. In my very personal perspective I would not make the jump as I don’t see the point of throwing yourself off a cliff just for the “YOLO”. But I guess that I had a similar feeling when I was about to enter the manager’s office to explain to him that I was about to quit to go back to graduate school. Metallurgy and Materials Engineering to be precise (more details in the previous post Graduate studies: A decision between adventure and chaos – Part 1). He was a nice boss, but he was also a strong old-shaped man whose perception of academic life was not very positive. “Are you going there on the afternoons?” he asked, and I had to explain that actually, I was presenting my resignation. I could feel the disappointment when he reclined in his chair and threw a quick glance to me, but there was nothing I could do. I received several bad opinions from some friends and other close people about my decision by then, so I was starting to get used to that particular reaction. The notice was official, my replacement was selected and started to train him. 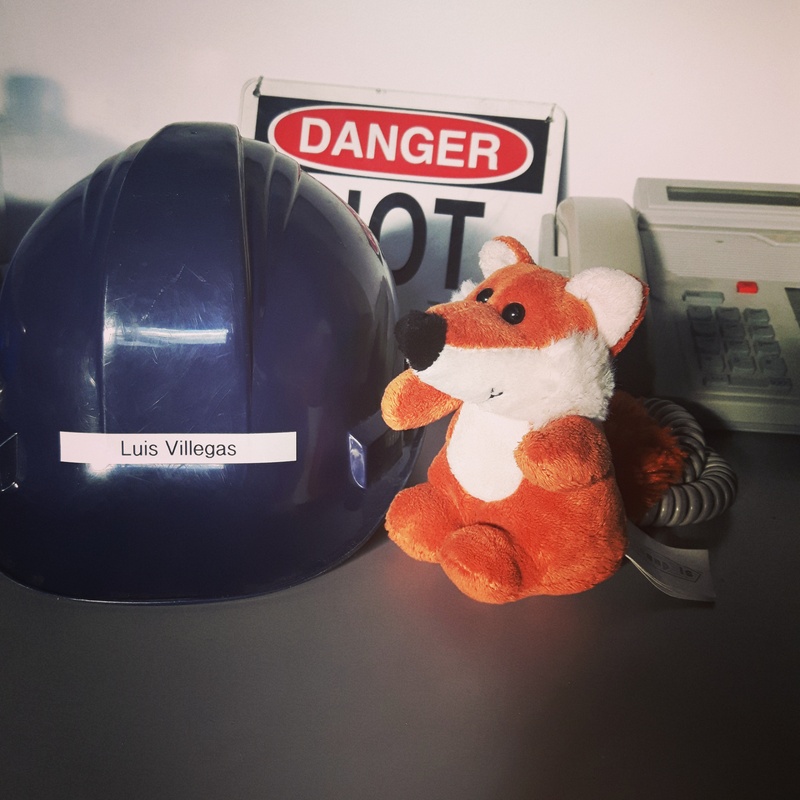 I received good wishes from my colleagues and I remember that the very last day when I step outside the factory, I felt like I was ready to take over the world. Unfortunately, things started to get crazy during my first weeks in grad school. First of all, my paycheck reduced dramatically for obvious reasons. Second, for some strange phenomena, all days were Wednesday. That day of the week where you do not know if you should press harder as in Monday or to take it easier as in Friday, feeling in a procrastination limbo that lasted 2 years. Working on Sundays? Of course! There is no better day to put your thesis drafts together. Going out on Monday? Why not! After a while, a Tuesday is not really different from a Saturday. I lost the perception of time in a very interesting way. The days were longer now. There was no work cellphone to wake me up at 3 a.m. However, now sending emails and writing abstracts at 4 a.m. was perfectly normal. At least I could justify my nocturnal eating habits. All of this was really hard at the beginning, and I could feel tired, more stressed and a little bit paranoid sometimes. But I was excited like never before, my research took me to different places in my own country, I met amazing people and I discovered a whole new world of information. And then the best came when I realized that it did not have to end there. What if I could go further and get a bigger challenge? There was an old wish in my vault waiting since I was a teenager. And there was a maple leaf on it. 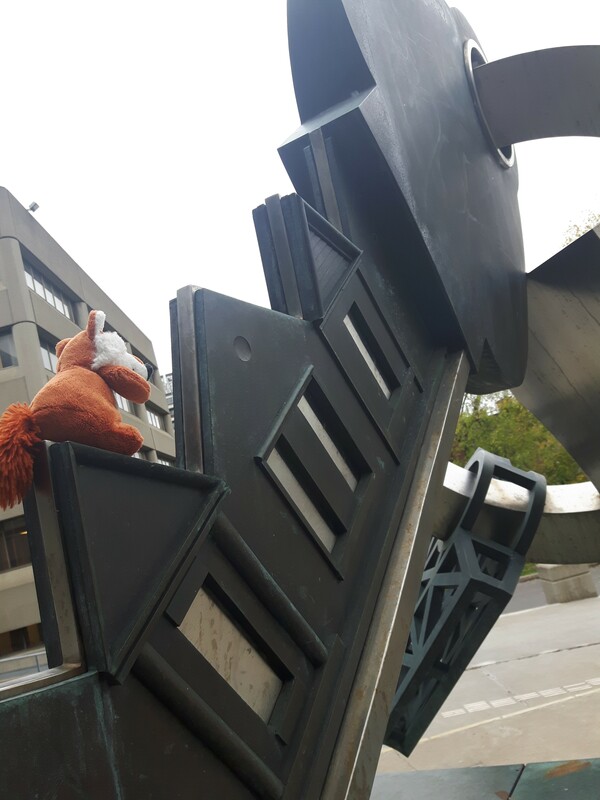 Published by Luis Villegas on 2016/10/31 at 7:06 PM under Grad school experience, Personal. 0 comments. 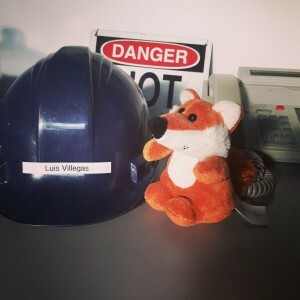 Published by Luis Villegas on 2016/10/09 at 4:54 PM under Grad school experience, Personal, Tricks, tips and recommendations. 0 comments. “Where do I go for my PhD?” How to make that important decision. While many of you blog-followers might already be enrolled in your doctoral studies, some of you may be contemplating a PhD in the near future (and have been reading our posts to evaluate whether it’s a good idea or whether you should totally rethink this option!). Choosing a PhD position is a really big decision; not only would you be dedicating a number of years to yet another degree, but you are also making a series of choices — a program, a university, a city and a supervisor – in one shot. Some of us are careful planners, while others are more impulsive, so it’s fairly certain that we won’t all approach this decision in a similar way. However, I thought I’d share my own thought process and the criteria I carefully considered back when I was deciding which PhD program to join. I should mention, first, that I am a pretty analytical person, and I do things systematically and methodically. Paradoxically, however, I am also just as impulsive and emotionally-driven as I am analytical! 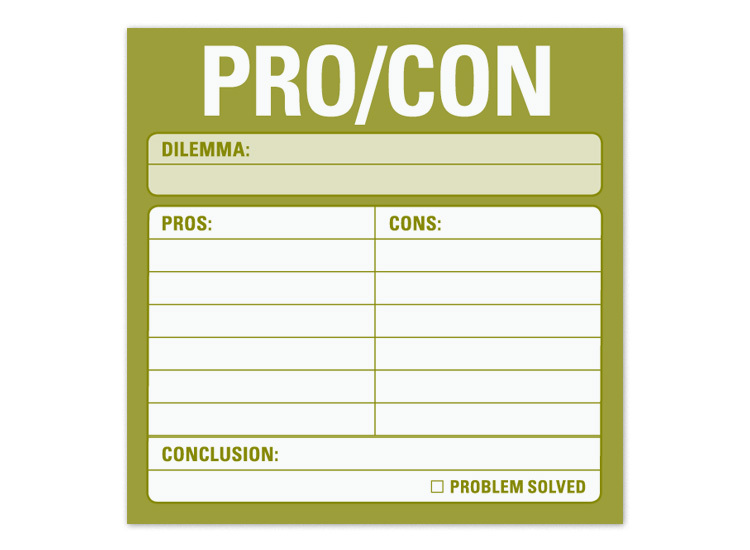 So, you will sometimes find me devising carefully planned pro/con lists and taking 16 days to make a decision, and other times you’ll find me “going with my gut” and arriving at a decision in less than 3.2 seconds. My PhD decision was the fruit of a systematic, rational pro/con list, many conversations with well-informed people, and a few days spent on my own, so that I could honestly listen to the voice inside my head – and, yes, also my gut. 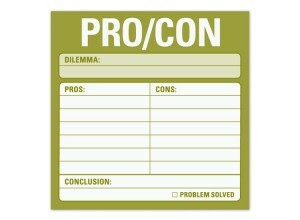 You can create your own pro/con lists or buy a pack of these ones made by Knock Knock. Published by Kristina Kasparian on 2012/04/29 at 4:30 PM under General Discussions, Grad school experience, Personal, Tricks, tips and recommendations. 3 comments.